Click the buttons to preview the volumes. The series, All Miracle, includes four volumes, Morning Song, Packages, Storing September, and Gift Wrapped, which correspond to spring, summer, autumn and winter. 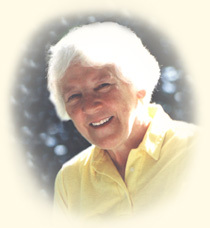 Having been raised on a farm, Elizabeth Rooney understood and interpreted life in large part by the passage of the seasons, and her poetry is characterized by a deep awareness of life's interconnectedness and the yearly cycles of death and rebirth. The poems are grouped by these intrinsic seasonal themes, which also include the seasons of human life, such as childhood, adulthood, aging and death, and the corresponding seasons of the liturgical year, as Advent, Christmas, Lent, Easter. While each poem is meant to be read and savored on its own, the groupings are intended to accentuate their collective rhythm and flow. Each 6" x 9" book is 124 pages and contains one poem for each day of the season (approximately 95). Elizabeth Brigham Rooney spent the last twenty years of her life living, working and writing poetry at her beloved childhood home and farm in Blue Mounds, Wisconsin. Her work has appeared in anthologies, most notably A Widening Light, The Lion Christian Poetry Collection, numerous magazines including Weavings, Radix, Partnership, and has been aired on BBC radio and television.